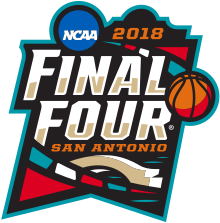 Don't miss your chance to see MAAC Mens Basketball Tournament Quarterfinals – Session IV at Times Union Center on Friday 8th March 2019! Tipped to be the hottest show of the year, MAAC Mens Basketball Tournament Quarterfinals – Session IV is quality entertainment at its best! What else would you expect from Times Union Center! There are still tickets left, but don't delay – as previous shows have shown – they WILL sell out! At Times Union Center, Friday is never boring – especially not with MAAC Mens Basketball Tournament Quarterfinals – Session IV taking to the stage on Friday 8th March 2019 as part of their brand new tour! Their stint only brings them to New York for a limited run, so make sure you catch them doing their thing in Albany! Unrivalled talent, endless charisma and music to make you move your body, MAAC Mens Basketball Tournament Quarterfinals – Session IV brings an exceptional show that will leave you wanting more, and the reviews speak for themselves! Tickets available now for one of music's most exciting acts – make sure you grab yours soon to avoid disappointment! It's gonna be out of this world!